Value is one of the 7 elements of art. Essentially, it's making light and dark with varying values in-between. Think about black, white, and lots of different grays. Students as young as Kindergarten can see and feel darks + lights when making art. They push down more (but not so much that they break the pencil) to make their marks darker and less (like "whisper" coloring) to make them lighter. 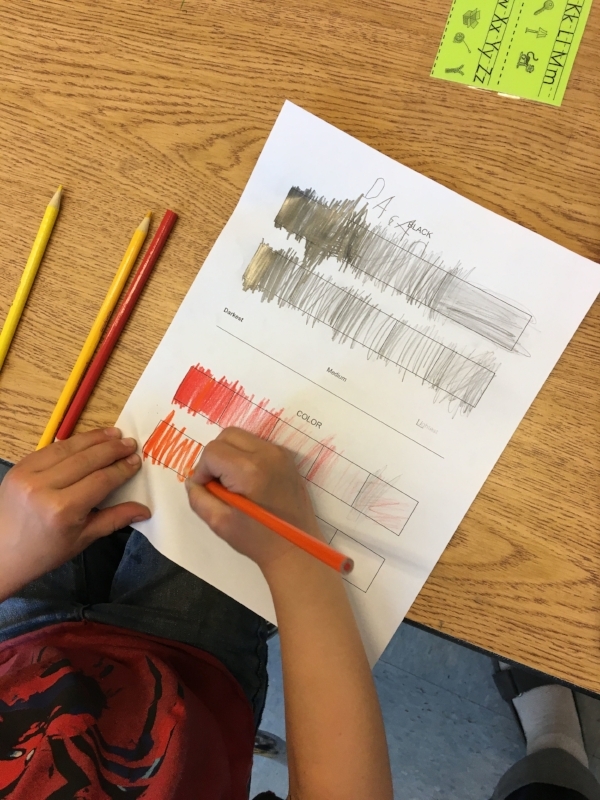 When I discuss darks + lights with my kindergarteners, I use a deep voice when talking about coloring dark, and a teeny high voice when talking about coloring lightly. In this exercise, they start with a simple 3-part scale, coloring the left one super dark, then the right one super light, and just medium in the middle. This is a good warm-up to feel how hard or how soft to press their pencils. Then they do a 5-part scale with more grays in the middle. I tell them to do dark and light before coloring the grays in the middle because their brains can fill in the blanks more easily when the parameters are set in place. Students practice on a scale to get used to pressing down a lot or just a little. Students color dark to light on the first two scales with their regular pencils, then choose two colors to do two more scales at the bottom. 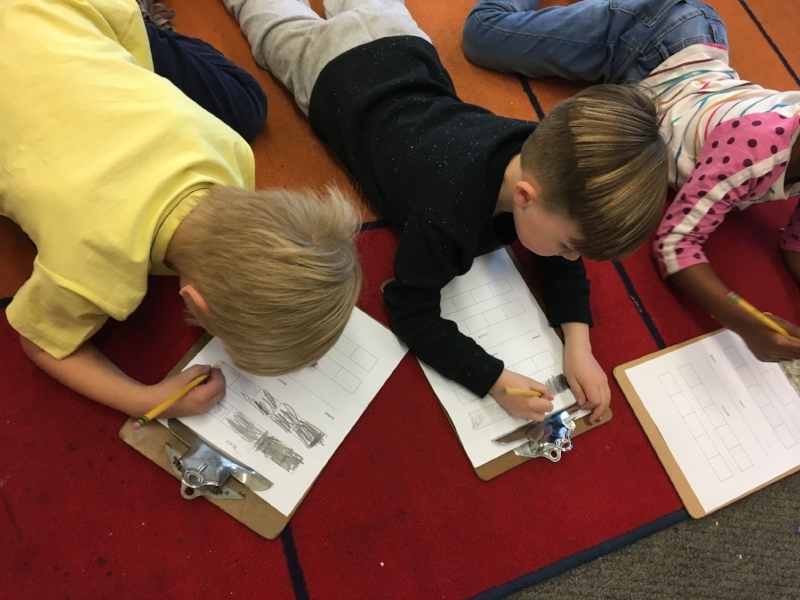 Make it fun by giving them clipboards and sitting around the classroom. Now students can use their shading skills to make a realistic picture. Notice that the lighter side of the house is closer to the sun and the shadow is farther away from it. Print the image below for your own Value Practice Sheet!